Did you know Skype has Bollywood Mojis for your chats? Here’s something totally fun! 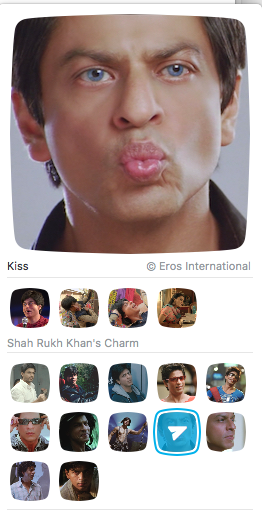 Did you know you can add Bollywood themed mojis to your Skype chats? Yes, yes it is true! Ranging from your favourite Bollywood Masala scenes, to your favourite heroes and heroines, songs and a special Shah Rukh Khan set, you can Bolly-ize your chats! Taking content from both Eros and Yash Raj, you can have Aishwarya, Amitabh, Akshay, Ranveer, Bipasha and many more! We certainly have not seen these on any other messenger and they are really high quality! Be sure to check it out to add some Bollypop to your Skype conversations!